Inside the dojang there are positive vibes. People arrive knowing we’re going to train, we’re going to learn, and we’re going to have fun. It’s a safe environment where everyone is respected. We support one another knowing the best support is positive support. We can take that same positive energy found inside the dojang, outside into the world through different means, including goal setting. The same goals set for ourselves inside the dojang can be applied to our everyday lives. At work we’ll set a goal to get a raise or a promotion. At school we’ll aim for better grades. Every time somebody does well, they feel good. Nothing breeds success like success. Set reasonable goals and make them attainable. You don’t need big goals to be happy. Achieving little goals, one after the other, will make you feel good. Want to impress someone? Show them good manners. People will respect you if you respect them. They’ll feel good about you, which makes you feel good about yourself. It’s a chain reaction. The positive vibes explode and grow. Having a well-balanced posture is important in Tae Kwon-Do so that your body will react properly when training. Outside the dojang, your posture (how you carry yourself) reflects your attitude. Leaning against walls and slouching are signs of laziness. Folding your arms closes you off from others. People indirectly interpret you as unapproachable. It’s the little things that keep the positive energy flowing outside the dojang. Keep your spine aligned. Carry yourself with respect. Don’t close yourself off. Let people see your confidence through your body language. 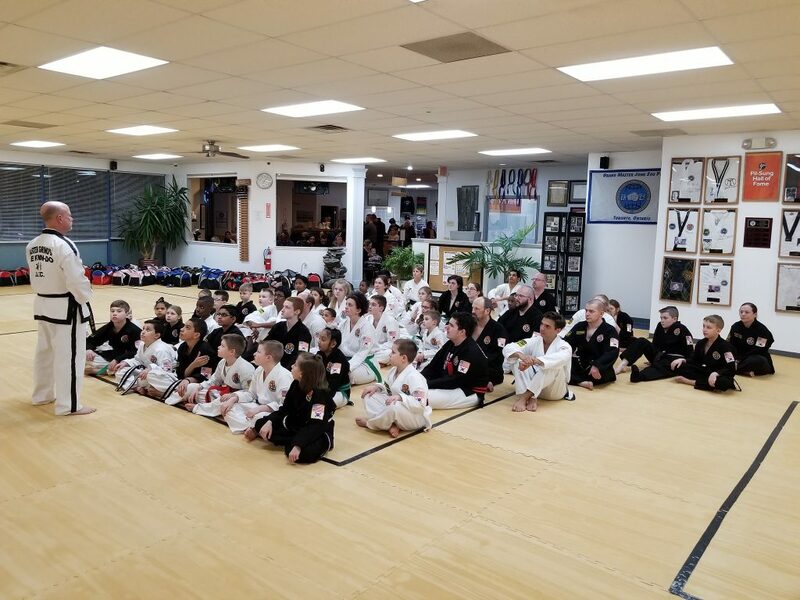 We work together inside the dojang to attain our Tae Kwon-Do goals. And we teach you to take that same positive energy out with you into the world for a more prosperous and happy life.